The rumors surrounding the Kindle Fire 2 are heating up, and it looks like it could ship as soon as this quarter. 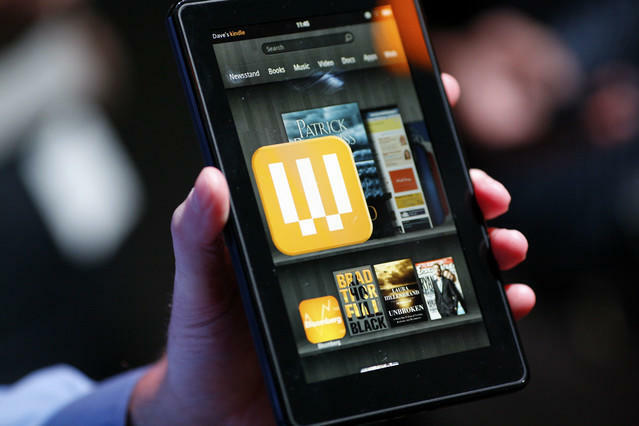 According to sources that spoke with AllThingsD recently, Amazon has been approaching developers in order for them to get their applications ready for the launch of the Kindle Fire 2 in the second half of this year, and quite possibly between now and the end of September. The original launched on November 15 of last year, so it's possible that the etailer wants to put more of a buffer between the release of its second tablet and the holiday season. Those that have been briefed on the device are reporting that it will be thinner and lighter than the original, and will also add a camera. The display is also said to be vastly improved and will be running at 1280×800 resolution as opposed to the 1024×600 that was featured on the original. This will put the new iteration of Amazon's tablet on par with the likes of the Toshiba Thrive and the soon to be released Nexus 7 from Google. DisplayMate President Raymond Soneira told AllThingsD, "That's a 67 percent increase in total pixels, and it is visually significant. It gives the display a PPI (pixels per inch) of 216." If all this proves to be true, the sub-8-inch tablet market could be turning into quite a battleground. With the Nexus 7 due for launch any day now – a tablet we loved – and rumors that the iPad Mini will be in production this September, consumers could soon be wondering where the 10-inch tablet market has gone.